Best Look at Avengers’ Vision Yet! Everyone knows that next summer’s Avengers: Age of Ultron is going to feature the Vision, the “synthezoid” artificial life form, but no one really knew much about how the character — played by the voice of J.A.R.V.I.S., Paul Bettany — would look. 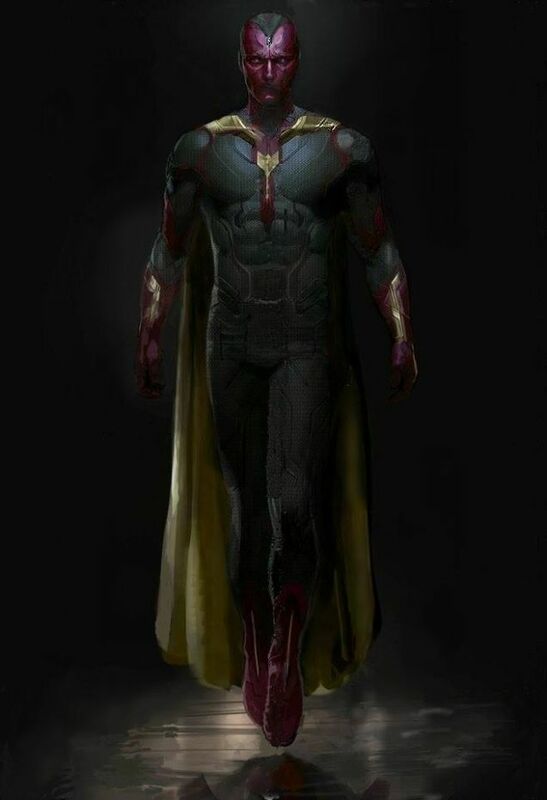 Web site IO9 obtained this image, apparently from Sideshow Collectibles, showing concept art of the Vision. The fact that it probably came from Sideshow makes me think maybe this is a design for one of the company’s high-end collectible statues — which are known for their painstaking accuracy. So if this is that, we can rest assured that the Vision will look exactly as depicted. What do you think of him? I think the android’s look is in keeping with the Marvel movie aesthetic, and remains as true as possible to his comic book roots. The thing that appealed to me was this sort of nascent creature being born and being both sort of omnipotent and totally naïve. And the danger of that and the sort of complex nature of somebody, of a thing being born that is that powerful and that fully created in a second. And the choices that he makes morally, I think, are really complex and interesting. They’ve really managed to maintain all of that. The bit I love, the famous image of him crying is, I think, really expressed kind of beautifully in this Avengers. Avengers: Age of Ultron opens May 15, 2015. This entry was posted in Comic Book Movies, Concept Art, Film, Superheroes and tagged Avengers, Avengers: Age of Ultron, Marvel Studios, Paul Bettany, The Vision. Bookmark the permalink.